Can I Play Florida Lotto Online? Read Reviews! A constitutional amendment in 1986 authorized the creation of a lottery in the state of Florida. As you’ve probably guessed by the title already, that’s how Florida Lotto came into existence two years later. It’s just one of the various lotteries in the US and though lacking the massive appeal of PowerBall, for example, Florida Lotto is still an interesting one to test. If you live in the sunshine state, you’re certainly aware of the official Florida Lottery. Are you an international lottery enthusiast? This article is just right for you because it will give you a good idea about what Florida Lotto is, what to expect and if it’s a good idea to spend your money on this opportunity. Florida Lotto first established in 1988. Today, the lottery offers a number of different games, but its very first one was a scratch-off ticket costing a single dollar. Right from the start, this game generated 95 million dollars in sales, which was unprecedented at the time. Over the years, many other fun options were added to the scratch-off tickets. It’s also important to point out that a large portion of the revenue generated through ticket sales has been dedicated to charities and good causes. This is yet another reason why Florida Lotto has such a great reputation and why it attracts millions of players. Is Florida Lotto a Scam? By now, we’ve already answered this question. 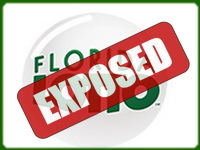 State-operated and committed to supporting good causes, Florida Lotto is anything but a scam. You can spend a few dollars on tickets without worrying about getting ripped off. It’s a completely legitimate opportunity to win big cash and more about that is coming up in the following paragraphs. Florida Lotto has a 6 out of 53 format. There’s another exciting option called XTRA multiplier. Adding XTRA to the ticket costs one dollar for a total ticket price of two dollars. The additional number acts as a multiplier that can increase the amount of earnings by anywhere from two to five times. Keep in mind that the multiplier applies to all of the prize tiers apart from the jackpot. The lottery drawings are held two times per week – on Wednesdays and Saturdays at 11:15pm EST. Ticket sales end at 10:40pm on the days of the drawings. Since Florida Lotto has a format of 6 out of 53, the odds of hitting the jackpot aren’t that high. They are 1 in 22,957,480. There’s a minimum guaranteed jackpot of 500,000 dollars. If there are no winners during the particular drawing, the jackpot will roll over. It’s interesting to point out that some special drawings are held for special occasions like anniversaries and Christmas. In 1991, a December Florida Lotto month was held and the minimum guaranteed jackpot was 10 million dollars. Now let’s take a look at the lower prize tiers and how these are affected by choosing the multiplier. The odds of getting five correct numbers are 1 in 81,409. The standard prize for the second tier is 5,000 dollars. With a multiplier x2 the amount increases to 10,000 dollars and having a multiplier x5 will bring the award even further up to 25,000 dollars. A similar principle applies to the lower tiers, as well. The odds of having 4 correct numbers are 1 in 1,415 and the standard prize is 70 dollars. Once again, multipliers in the range from 2 to 5 apply. The overall odds of getting any prize in Florida Lotto are 1 in 67, which is pretty decent. Players have 180 days from the date of the drawing to collect their prizes, regardless of the amount. If players would like to get their money in a lump sum, they have 60 days from the date of the drawing to contact Florida Lotto and announce their decision. As you’ve probably guessed from the previous paragraph already, prizes can be received in the form of a lump sum or in the form of annuity payments. Typically, annuity payments are the most affordable option because the sum withheld is going to be smaller. Speaking of withholding and unpleasant regulations, Florida Lotto prizes are subjected to federal taxation. Though the state doesn’t collect taxes, some of the money will still be lost. In the case of a lump sum payment, the player will collect approximately 1/2 of the jackpot for the respective drawing. There’s no big loss in the case of annuity payments – these are usually handed out in 30 individual payments. Can International Players Try Florida Lotto? Florida Lotto is open to non-US residents through the services of online lottery agents. These websites have local reps responsible for purchasing tickets on behalf of the clients. If you’re an international player and you’re interested in the lottery, it’s a good idea to check out local regulations. You may end up losing a big portion of the money because of the federal taxation in the US and the possibility of additional income taxes in your own country. Would you mind rating Florida Lotto? Should You Play Florida Lotto? Sure, why not? Florida Lotto is a great lottery and the pros far outweigh the shortcomings. The premise is simple, there’s a cool multiplier and the jackpot rolls over. If you’re strategic about the drawing that you choose to buy a ticket for, there are some really great opportunities stemming from Florida Lotto. The ticket prices are also quite lucrative, thus you’re not going to waste a serious amount of money. Test the lotto for yourself and let us know what you think about it. Good luck! How Much Does It Cost to Play Florida Lotto Online? Florida Lotto is okay, but not the most interesting game of the set offered by the Florida Lottery. 6 out of 53 numbers format and federal tax make it less attractive compared to other lotteries. I like the multiplier feature, too bad it’s not applicable to the jackpot.